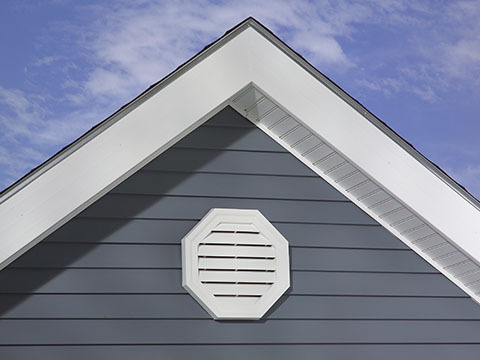 Whether you’ve chosen the rich texture of shake shingles or the crisp shadow lines of lap siding, Ply Gem makes it easy to add the perfect finishing touches to your home’s exterior. 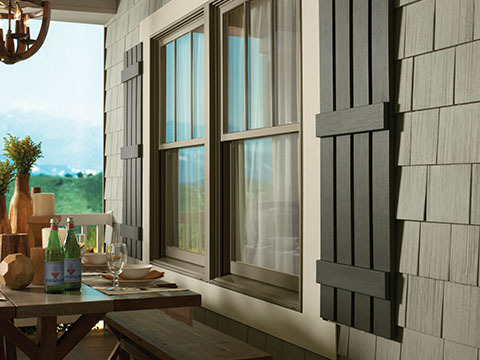 Choose from charming shutters, expertly crafted trim and rustic stone. Then, tie it altogether with coordinated soffits, fascia, vents and mounting blocks. It’s details like these that create a brilliant first impression. Everything Ply Gem offers is designed to perform well and look beautiful together. Ply Gem gutter protection products are time tested and virtually eliminate the need to clean leaves and debris from your system. 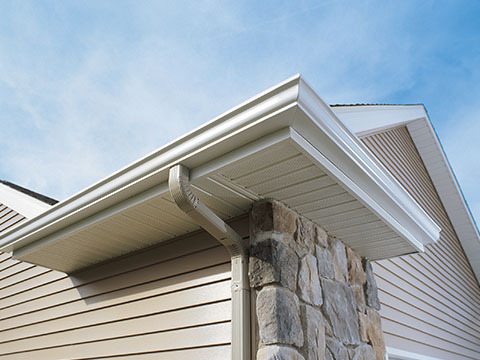 Gutters direct rain and melted snow off your roof to keep water away from your foundation and from seeping underneath your shingles and behind the siding. 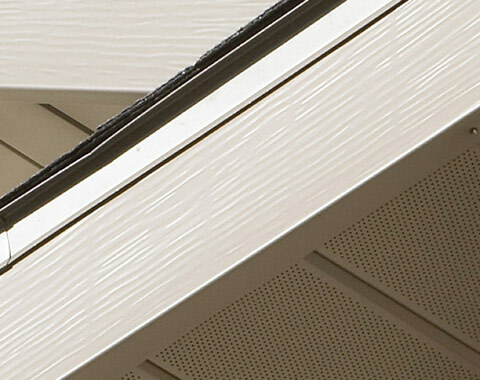 The trim piece that follows your roofline covering the ends of the rafters, fascia helps protect the edge of your roof and creates a finished look. These narrow “ceilings” bridge the gap between siding and roofline to cover and protect the rafters, keeping out moisture and pests. Mounting blocks create a base for installing lights, doorbells, faucets, meters, and more. 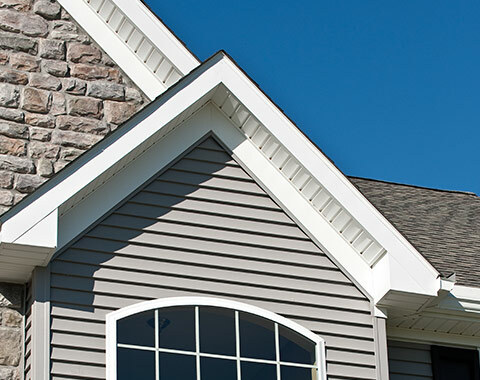 They keep out water and insects and create a finished surface over your siding. Flashing, gutter aprons, drip edge trim and other fittings keep water from pooling up and keep it moving in the right direction. Fixed, decorative shutters add style and presence to your home’s most prominent windows. Shutters are one of the easiest, most visible accents you can add to your home’s exterior. Trim frames, protects and adds a finishing touch to windows, doors and corners. Unlike wood, Ply Gem trim won’t absorb moisture, minimizing rot and the need for maintenance. Economical and durable for covering wood trim, Ply Gem aluminum trim coil comes in hundreds of colors in smooth and woodgrain finishes. Utility and roof vents ensure proper airflow from appliances, fireplaces and exhaust fans – they play a key role in proper ventilation and temperature control.